Two months after the release of his highly anticipated fourth EP, So Many Nights, Burns is still in the spotlight. His tracks have been A-listed by major DJs around the world (Tiga, Aeroplane and Crookers to name but a few), and he’s also been receiving praise for his production work. 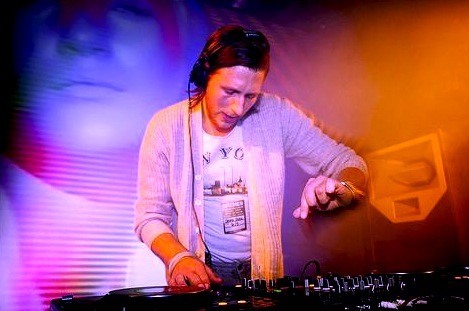 Having built his reputation with a series of stunning remixes for a wide range of artists, Burns has kept very busy in the past few months doing remixes for the likes of Empire of the Sun, Passion Pit, White Lies, Ladyhawke, Dizzee Rascal, Filthy Dukes, Yuksek, Calvin Harris, Late of the Pier and The Gossip. Burns’ fourth EP, So Many Nights, was released last April on 2112 Records, showing yet again that Burns has a musical breadth beyond most of his peers. From the start it’s been clear that Burns loved to break genre boundaries and mix things up, but the depth to his productions has increased with every release. Oscillating between smooth French house, cut-up electro and downright brutal techno, Burns seems to feel comfortable with every possible genre. No wonder NME calls him “the best Scottish electro terror since Mylo” and Mixmag refers to him as “the hottest new artist of 2010″.